Sites – Hannover, Goslar, Wolfenbüttell/Braunschweig, and Celle in Lower Saxony, Germany. How We Got Here: Two years ago, we dipped our toes in the snow at Christmas markets in Edinburgh and Manchester and had a blast. Last year’s Christmas Market Crawl spanned two-and-a-half weeks and covered parts of Germany, Austria, and Italy and we drank so much gluwhein that our teeth turned purple and our hair smelled like cinnamon and nutmeg until February. We had the most Chris-Chris-Christmassy time of our lives, so we are back in the game this year, albeit on an ever-so-slightly smaller scale. Gameplan: One of the most important things we learned last year about Christmas markets in Germany is that the food and drink will essentially be pretty much the same at almost all markets, but what makes a Christmas market truly special is the atmosphere of the place it’s being held in. For example, famous markets like the one in Nuremberg and the one in front of Veinna’s Town Hall were just far too crowded and sterile for us, while atmospheric and cozy markets in places like Leipzig, Bolzano, and the Ore Mountains were just right. Lower Saxony should be in that “just right” Goldilocks zone for us as its towns look to be the perfect size and seem to be home to just the right cozy and Christmassy atmosphere we are looking for. Lower Saxony is a region that isn’t too far away from Amsterdam and is home to the 9 Cities, which are a group of gorgeous towns fabled for their historic half-timbered buildings, which I’m being told that has something to do with wood, and Brother Grimm-style market squares. 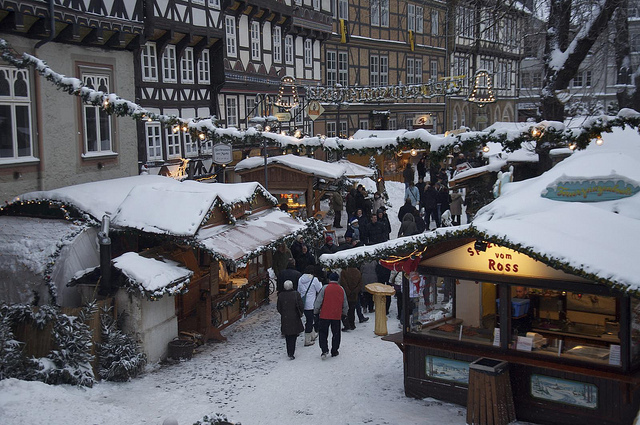 I am especially looking forward to seeing Goslar, which is nestled at the foothills of the Harz Mountains and offers us the best chance to maybe see some snow. It is also the birthplace of Gose Beer, which I am really looking forward to getting my mittens on. 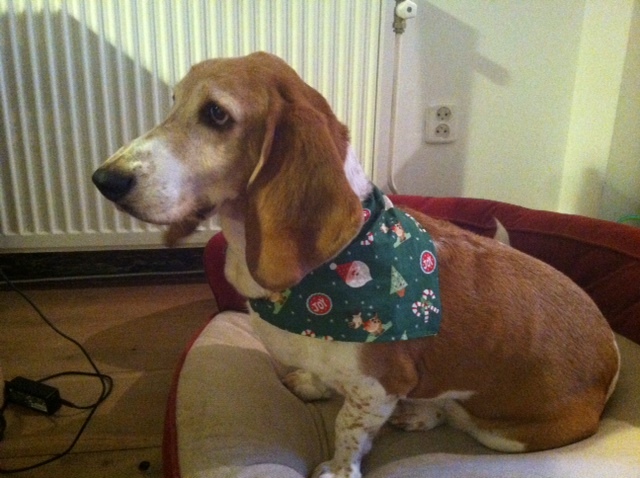 Player To Watch: Holly, our 9 year old Basset Hound. Holly will be making her long awaited European traveling debut after passing a physical and receiving her pet passport last month. Will she crumble under the pressure of a 4 hour train ride? Will she intercept a bratwurst from me? These factors will likely determine how well her rookie campaign goes and will go a long way in determining whether she has what it takes to travel in the big leagues. Tuning In: Follow @WorldwideScott on Twitter and my Facebook page for live game updates and if you aren’t on those sites, and you still want to follow the action, click here and here and then just sit there hitting reload over and over on your browser.